In my opinion, when it comes to porridge nothing can ever beat oats - the taste and texture are second to none and they're extremely cheap and readily available. Unfortunately, not everyone can tolerate oats due to having an allergy or intolerance to gluten. Oats themselves do not contain gluten but are usually packaged in the same environment as gluten-containing products, which is a problem for people who are extremely sensitive to it. They also contain a protein called avenin which is similar to gluten; research has shown that a lot of people with coeliac disease can actually consume avenin (and therefore oats) with little or no problem but there are some people who do have difficulties with it. Luckily for them there are still lots of ways to enjoy porridge, including using buckwheat, quinoa and rice flakes. The first alternative I tried was buckwheat flake porridge but oddly enough, although I adore all other buckwheat products (groats, flour, noodles, crispbreads etc. ), I just couldn't get used to the taste of the flakes on their own. However, once I threw some banana into the mix my opinion of them soared and now they're one of my favourite gluten-free breakfast options. Put the buckwheat flakes and liquid (and optional oats) into a small saucepan, turn the heat up to the highest setting and bring the liquid to a boil. Once it's boiling reduce the heat to the lowest setting and let it simmer for a minute or two, stirring occasionally, until it has thickened up a bit. Cut the banana in half and mash one half into a pulp. Add this into the porridge and let it cook for another three or four minutes, stirring occasionally, until it's at your desired consistency. 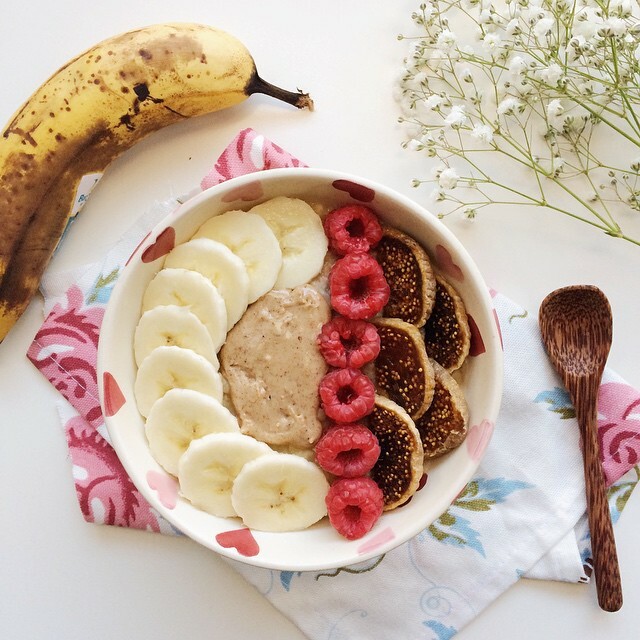 When it's ready pour it into a bowl, add your toppings (the other half of the banana is always good) and enjoy! where do you buy your buckwheat flakes?